6952 ft (2119 m) Highest point in Iceland . 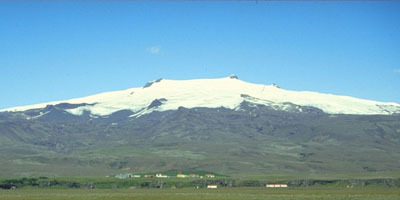 Oraefajokull is the highest and largest volcano in Iceland, and also one of the most spectacular. 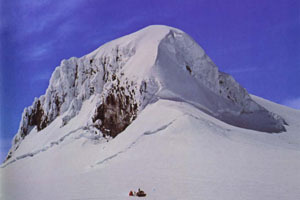 A broad squat cone topped by a flat 3 mile (5 km) diameter ice-filled summit caldera, its volume of about 90 cubic miles (370 cubic km) compares favorably with much taller stratovolcanoes such as California's Mount Shasta. 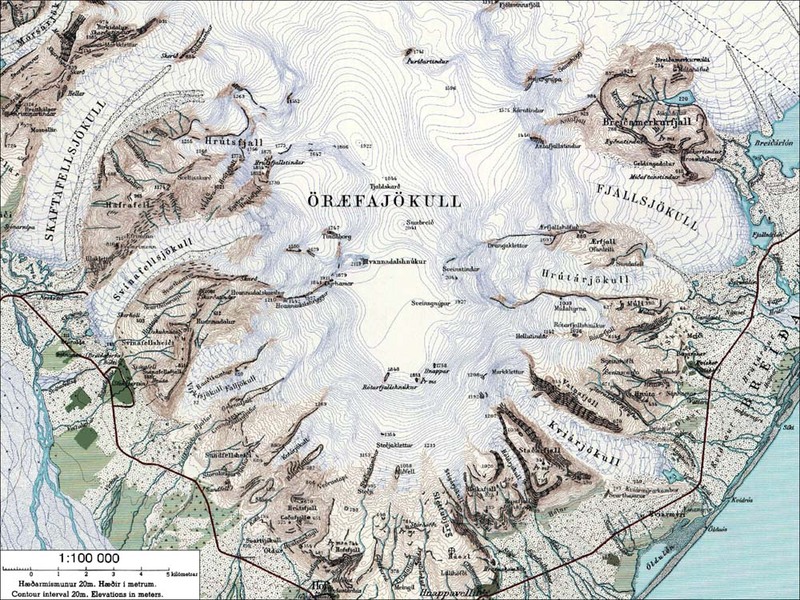 Located directly beside the Atlantic Ocean, it juts out as a peninsula from the southern end of the Vatnajokull icefield, and magnificent outlet glaciers spill in all directions from its summit caldera. 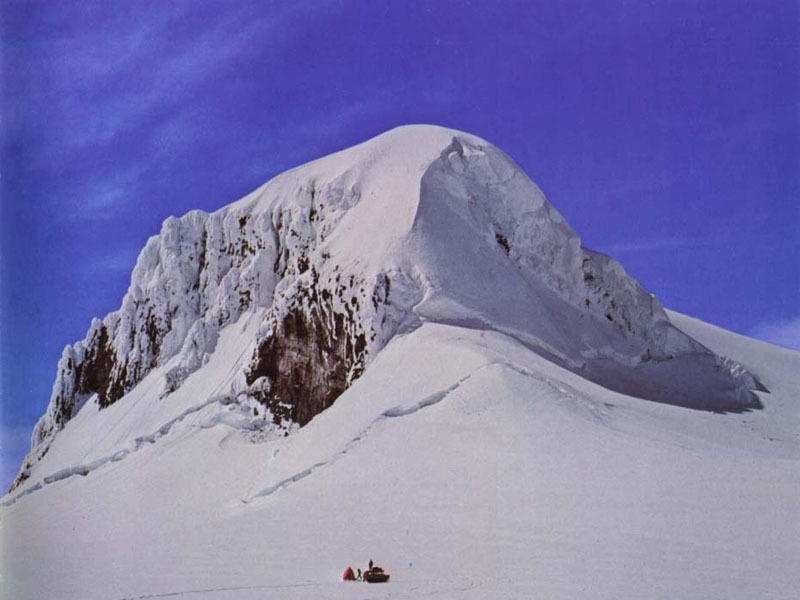 Like several other of the more accessible Icelandic volcanoes, its climbing history dates back over two centuries and it remains one of the most popular areas for climbing and ski mountaineering. 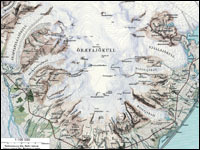 Access to Oraefajokull is exceptionally easy from roads to the south, and it provides a standard starting point for a traverse of Vatnajokull.